In the U.S., HIPAA sets guidelines for ensuring that personal health information remains secure and private. Adhering to those guidelines creates a challenge for hospitals, because many HIPAA compliant platforms rely on legacy systems and aren’t necessarily the most user friendly. That’s where Marcio steps in. His role as both a technology trainer and systems analyst means that he works with healthcare providers to ensure systems are effectively optimized and layouts are streamlined—thus enabling providers to focus on the work of saving lives. He does so by helping hospitals navigate the complexity of upgrading legacy systems, introducing doctors and nurses to more simple and efficient workflows, and helping them adapt to new tech tools. Recently, he introduced a facial nerve specialist to Windows Ink, which she now uses with Surface Studio to mark up images and show information to patients in real time. Marcio frequently works with physicians who are at the top of their field and specialize in treating serious injuries and diseases. “I’m helping the one person who is able to help thousands of people. In that way, it’s very rewarding,” he says. Originally hailing from the Azores islands of Portugal, Marcio grew up helping friends and neighbors on the small island tap into technology’s potential. At the age of 11, he was already showing people how to use the internet, and he began developing and designing web sites in high school. How does Marcio himself stay current on the latest developments in tech? He relies on an RSS aggregator and exchanges articles with friends—“I’m always reading about what’s coming next.” And, he’s a Windows Insider. 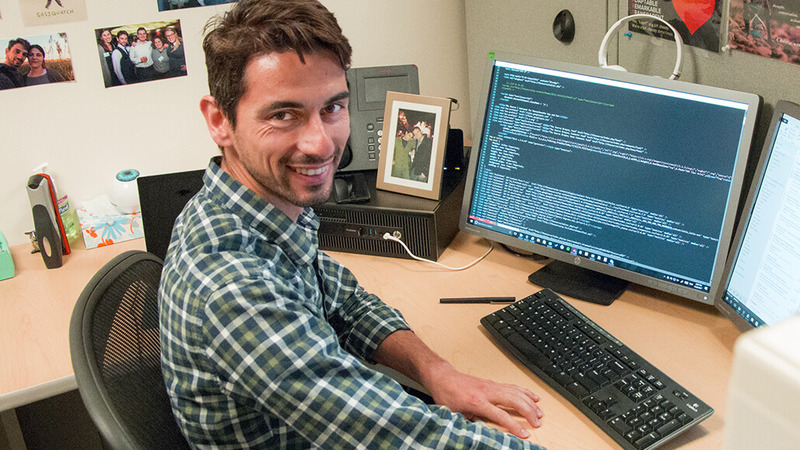 “I joined the Insider program to see the tools before they’re pushed out and to give my input and hopefully make a difference in how the tools get developed or implemented,” Marcio says. “Because sometimes, the ideas are great but the use cases aren’t. I try to provide examples and give feedback like, ‘Hey, this is a feature that you currently have, but it’s really hard to do X.
Connect with Marcio on Twitter @mymarcio and LinkedIn. Interested in shaping the future of Windows? Follow us @windowsinsider and find out how to become a Windows Insider here.